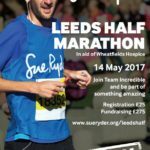 Celebrating our 34th outing, the Leeds Half is firmly established as one of the highlights of Leeds’ sporting calendar and Yorkshire’s BIGGEST half. Around 7,000 signed up for last year’s event enjoying its challenging course, enthusiastic crowds and fantastic atmosphere. 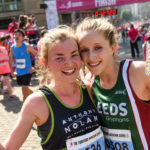 The 2018 Leeds Half Marathon raised hundreds of thousands of pounds for charities and good causes across Yorkshire and beyond. Lets make 2019 just as big!